This has to be the most fun, playful way to introduce kids to music theory. 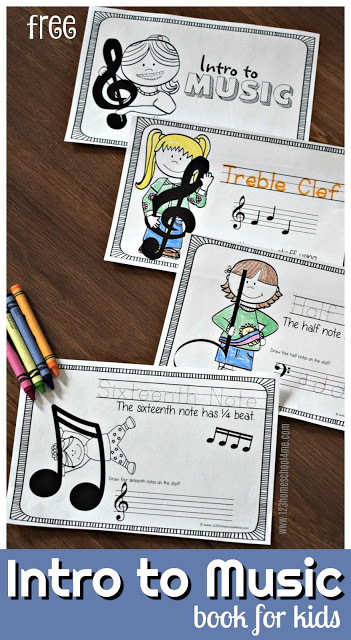 Just print this free Intro to Music Book for Kids to learn about treble clef, base clef, whole note, quarter notes, and more as they trace, color, draw, and read music. Kids will have fun learning the basics of music theory with this free printable Intro to Music Book for Kids. They will learn about the staff, base clef, treble clef, whole notes, half notes, quarter notes, eighth notes, music math, and more! These are NO PREP! Just print, cut in half and you have two ready to color and learn music books for kids. 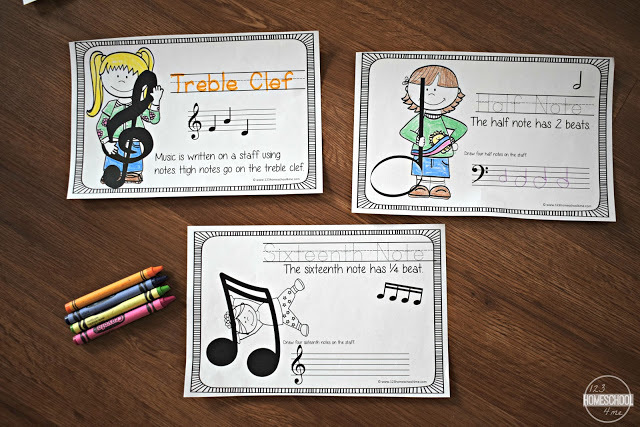 This free printable music mini book is such a great introduction to music theory for kids! They will trace key music vocabulary, practice making music notes on the staff, and have fun coloring the cute illustrations.